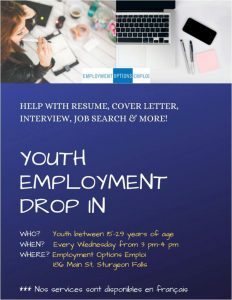 If you are between 15-29, drop in for assistance with resume writing, cover letter writing, job search, interviews, and more! On your own, or with the help of our Youth Worker, we have the tools you need, and are here to help! Services disponibles en français!